A must for Lighthouse lovers! The large-format New Jersey Lighthouse Calendar features a variety of the Shore’s remarkable lighthouses. All calendars include removable 2018-19 tide charts, a six month calendar grid of the last half of 2018 and large grid spaces for daily notations. 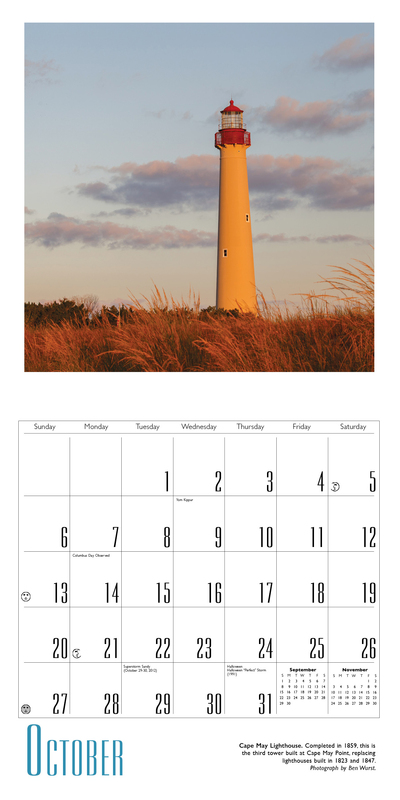 Now in its 18th year, the New Jersey Lighthouse Calendar 2019 is printed to the same high quality standards as the traditional Down The Shore Calendar  in a larger, 12" x 12" format (opens to 12" x 24"). This calendar features 13 dramatic and beautiful photographs of the Shore’s lighthouses from Sandy Hook to Barnegat to Cape May and up the Delaware Bay in an oversize wall format. Down The Shore Publishing Corp. assumes no responsibility for errors. Sentinels of the Shore: A Guide to the Lighthouses and Lightships of New Jersey. Back copies of the Down The Shore Calendar are available for most years from 1985 (No. 1) through 2018. (Not all years have all editions available. Write or e-mail us regarding availability.) 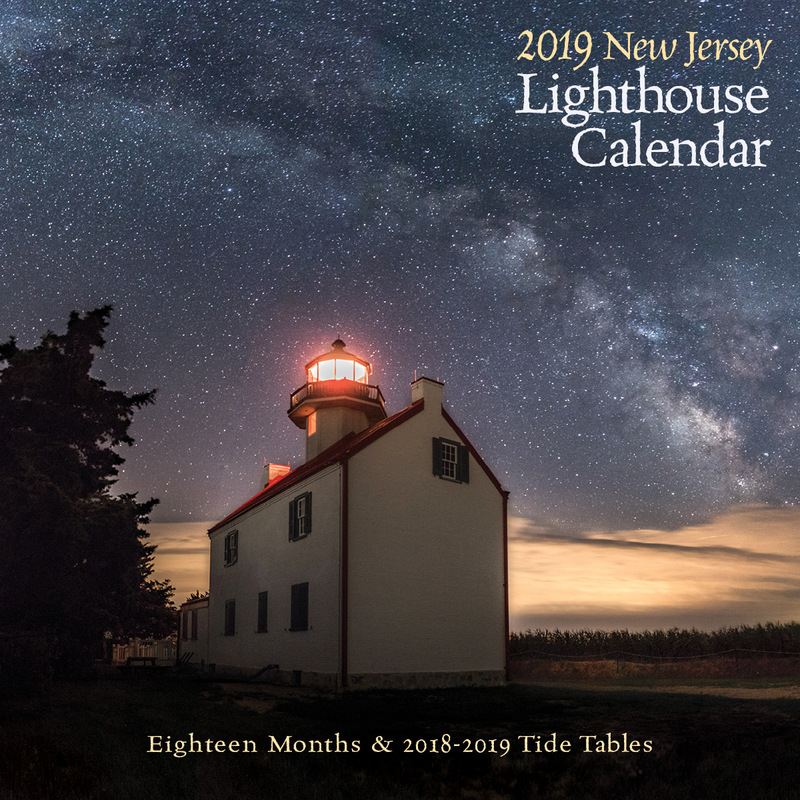 Back copies of the 1996 through 2018 NJ Lighthouse Calendar are also available. Previous years calendars: $7.95 each. Please note: Locating back copy calendars may require additional processing time.